Bobbin’s bounty is 105.5 million. He uses his power to put all the arriving soldiers to sleep and goes after Sanji by himself. Chopper and the others cross through a mirror and peer into Big Mom’s sleeping chambers. Brook appears to be in Big Mom’s hand while she’s sound asleep. She’s only half asleep and shatters the mirror, Prometheus, Zeus, and Napoleon respond to that sound and all attack the mirrors at once. Sanji is running through the raining town, and a dog looks eager to take Sanji’s bento. 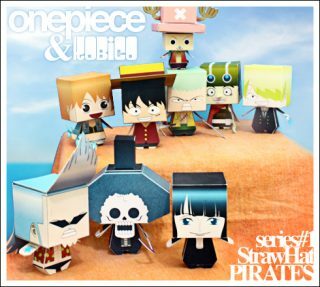 Chopper and the others collect bones at an execution site and make a fake Brook, which they use to switch out with the real Brook. Sanji has arrived at the promised location. He searches for Luffy throughout the countless fallen soldiers. Brook opens up his skull and pulls out the poneglyph print. Everyone celebrates this, leaving bringing back Sanji the only objective left. There’s a loud grumbling sound coming from far away. Sanji finds Luffy, whose face appears like a mummy. Sanji sports a huge grin with streams of tears rolling down his face. For More Updates Like us on Facebook Mugiwara Shop Ph. Anime Shirts And Hoodies now available at Mugiwara Shop Ph! 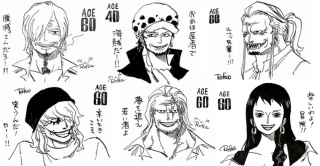 How One Piece Characters would look at 40 and 60 years old! 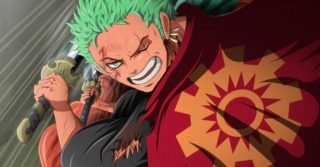 Zoro’s Connection with Wano Has Just Been Confirmed!